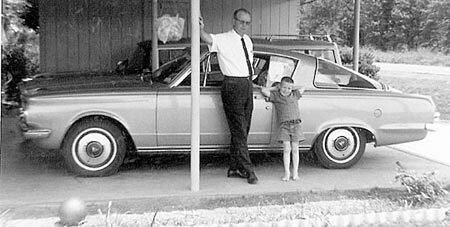 "As a five-year-old in 1964, we moved to Monroe, Louisiana when my dad took a job with Chrysler as a service rep. For the next three years, he brought home a lot of brand-new Plymouths, including several Barracudas (see above photo). I loved lying down in the back, watching the world go by under that huge back glass. When I became a teenager (Dad was back in the aircraft mechanic business by then), I was starting to want a Barracuda. My oldest brother had one, and my brother just a year-and-a-half older had one. When I started to get serious about buying cars, I couldn't find one. In fact, since I became old enough to drive, I only saw three for the next 25 years. One was only a couple of houses down when I was a teenager, a 66, but they moved before I had a chance to find out about it. Then, when I went to do some serious car shopping, I was going to trade in my four-door Dodge Dart, a 65 model. My step father, who hated Mopars, convinced me to by a 1970 Mercury Cougar with a 351 Windsor. I passed up a 1970 Barracuda with a slant six, all because of my step father. Since that time, I saw one outside of Fulton, Miss., but he wanted $6,000 in 1992. Body was in good shape, but the carpet was faded. After I saw how much he wanted for it, I didn't bother to check out the engine. The third one was just South of Laurel, Mississippi, and I had seen it on the side of the road since 1994. It was on my way to my dad's house, and since I was always in a hurry, I never stopped. One day back in 2000, I was in a hurry to go to dad's house from work, but he called and said he had to do a few things, so I could take my time. On the trip down, I saw the car, and the owner outside sitting on a bench swing. After a quick U-turn, I checked it out. I made an offer, he took it. I don't mind telling you I paid $2,000 for the 1964 Pushbutton Barracuda. It runs and drives well, but I still had to do a lot of work to it. 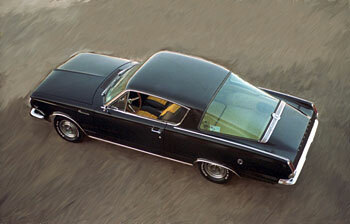 But I also bought a 1966 Barracuda over the Internet, paid $1,200 for it, and a 1965 parts car for $200. I like the car not only for my history with it, but because of its rarity. Like I said, I have seen three before I bought mine. Now, since I have been hunting for them, I found two that could be on the streets, but are not, another one that is just sitting around with rear end damage, another one this guy said he is going to restore, another one that needs some tlc to get up and going, and about three more that have been stripped down. Mine is the only one on the road, and I'm proud of that. How many Camaros have you seen? How many Mustangs? Those things are a dime a dozen. And despite other opinions, I don't think parts for our cars cost that much. Ever check prices for E-bodies? I also use mine as the third car. I drive a 1996 Ford to work (60 mile round trip), my wife a 1986 Chevy S-10 Blazer (gonna keep it, restore it and sell/trade it when it becomes a classic in nine years). We use the Barracuda (cheap tag, cheap insurance) in case one of the other cars goes down. (We live in the country, no taxis, no buses). Plus it is fun to drive. Regarding my plans: the 1964 will be as close to original as I can make it. My 1965 Rusty Fish project will be as custom as I can make it. A lot of you on the mailing list have offered suggestions, and this future cruiser will as close to the best engineering as I can get it (318, auto OD, all new and different gauges, disc brakes, and anything else I can think of. Would even like to change it into a hatchback.) This will be the car I will go to work in every day, so it will not be a high performance hog, but a car that I can get the best gas mileage out of a V8. The 1966 Barracuda slant six I got for my daughter, who gets her driver's license this year.